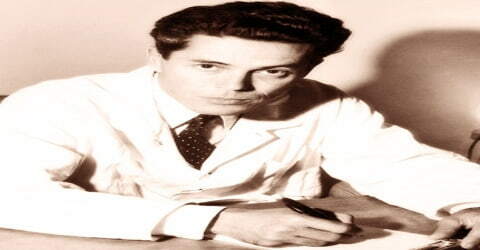 Jacques Monod – French biochemist. A French biochemist, won the Nobel Prize in Physiology or Medicine in 1965, sharing it with François Jacob and Andre Lwoff “for their discoveries concerning genetic control of enzyme and virus synthesis”, Jacques Monod was born in Paris on February 9, 1910, but he spent his early years in the South of France. Monod and François Jacob suggested the presence of messenger ribonucleic acid (mRNA), that acts as a courier and convey genetic information from the deoxyribonucleic acid (DNA), the carrier of genetic instructions, to the ribosome, which is the protein synthesizer of the cell. The most notable and significant finding of Monod that he worked together with Jacob was perceiving of a specific class of genes that regulate the activities of other genes by affecting the synthesis of mRNA. They developed the Jacob-Monod operon model that helps in elucidating the way genes are regulated. The duo also showed the effects of balance and imbalance between regulator genes and structural genes in a normal cell. He received several honors and distinctions that include ‘Montyon Physiology Prize’ and the ‘Charles Léopold Mayer Prize’ from the ‘Acadèmie des Sciences’, Paris in 1955 and 1962 respectively; and the ‘Louis Rapkine Medal’ in London in 1958. The military decorations conferred on him include Chevalier de la Légion d’Honneur and Croix de Guerre in 1945. In 1968 he became an elected ‘Foreign Member of the Royal Society’ (ForMemRS). Jacques Monod was also a musician, a military officer, a sportsman, a writer, an administrator and politician, and a philosopher. He was a man of action and a gifted organizer, but his domain of choice was the development of theory. His ideal was knowledge: for him, that was the highest goal of human activity; it was the thing that made man special and was the destiny of humankind. Jacques Monod, in full Jacques Lucien Monod, was born on February 9, 1910, in Paris, to Lucien Monod and his wife Charlotte MacGregor Todd. His father, a French Huguenot, was a painter and his mother was an American from Milwaukee. Jacques’s father, Lucien Monod was a sensitive artist, but also a humanist and a positivist. He had a special admiration for the work of Darwin and Ernst Haeckel, and young Jacques showed an early interest in biology, collecting beetles and tadpoles. 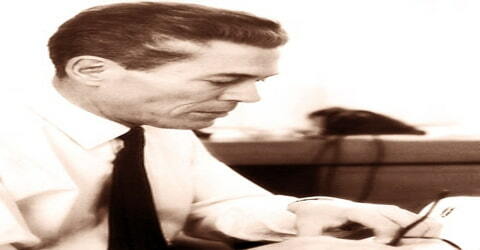 Lucien Monod was also interested in music, and Jacques learned to play the cello as a young child. Music and biology were his two intellectual loves, and he hesitated between them for many years before finally choosing his profession. In his childhood Monod used to involve himself in several activities including rock climbing, searching for fossils, sailing yachts and dissecting cats. He completed his secondary education from the lycée de Cannes and thereafter in October 1928 he enrolled at the ‘Faculte des Sciences’ at the ‘University of Paris’ (‘Sorbonne’) to study natural sciences. When Jacques Monod was seven years old, the family moved to Cannes; the house they built there, “Clos Saint-Jacques”, remained his favorite residence ever after. Jacques Monod earned his Science Degree in 1931 and began to pursue a Ph.D. He received a fellowship to work at the ‘University of Strasbourg’ with French biologist Edouard Chatton. He was inducted as assistant professor of zoology at the ‘Faculte des Sciences’ and from 1932 to 1934 he remained engrossed in investigating the evolution of life. Monod earned a Rockefeller fellowship in 1936 to study genetics at the ‘California Institute of Technology’ (Caltech) and Professor of Genetics Boris Ephrussi took him to the institute. At Caltech, he worked on Drosophila genetics for a year in the lab of American geneticist, biologist, and embryologist Thomas Hunt Morgan. Though his tenure in Caltech was not that rewarding he impressed the local residents with his musical talent and was also offered a job in the local orchestra. 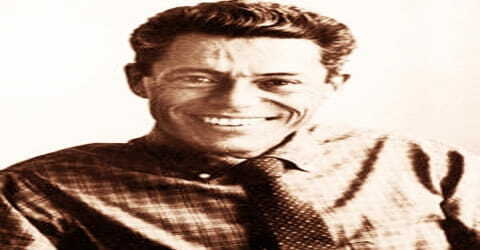 However, he returned to Paris giving up his musical career options in order to complete his Ph.D.
During World War II, Jacques Monod was active in the French Resistance, eventually becoming the chief of staff of the French Forces of the Interior. He was a Chevalier in the Légion d’Honneur (1945), and was awarded the Croix de Guerre (1945) and the American Bronze Star Medal. In 1938 Jacques Monod married Odette Bruhl, an archaeologist who later became the curator of the ‘Guimet Museum’. In 1939 their twin sons, Philippe and Olivier were born. Though Monod never influenced his children to pursue science, one of his sons became a geologist while the other became a physicist. Apart from being a biologist, Monod was a gifted musician and his favorite pastimes included music and sailing. In 1934 Jacques Monod became an assistant in the zoology laboratory of the Sorbonne. That summer he took part in a scientific expedition to Greenland on the Pourquoi Pas? In the spring of 1936, he was about to embark on a new expedition of the Pourquoi Pas? when Boris Ephrussi invited him to go along on a trip to America. That invitation was a turning point in Monod’s life, in two senses: the Pourquoi Pas? and its entire company was lost off the coast of Greenland, and Monod’s stay in America was decisive in setting the course of his scientific career. Before his doctoral work, Monod spent a year in the laboratory of Thomas Hunt Morgan at the California Institute of Technology working on Drosophila genetics. This was a true revelation for him and probably influenced him on developing a genetic conception of biochemistry and metabolism. In his doctoral work, Monod examined bacterial growth on sugar mixtures and detailed the sequential application of two or more sugars. The term diauxie was coined by him to mean the repeated observations of two specific bacterial growth phases developed in two sugars. He earned his Ph.D. in Natural sciences in1941. Monod also continued his activity as an amateur musician. He formed a Bach choir, La Cantate, which he directed until 1948. It was there that he met Odette Bruhl, an archaeologist and orientalist who specialized in the art of Nepal and Tibet and later became curator of the Guimet Museum. They married in 1938, and Odette brought him the enrichment of visual culture and sensibility complementary to his own. They had twin sons, Olivier and Philippe, who both became scientists, the former a geologist and the latter a physicist. Monod was a political activist and played an active role in the ‘French Resistance’ during the ‘Second World War’. In the course of time, he became the chief of staff of operations for the ‘French Forces of the Interior’. In pursuit of Allied landings, he made arrangements for mail interceptions, bombing railroads and also dropping of weapons through parachute. Post-liberation he was inducted in the renowned ‘Pasteur Institute’ of France as Laboratory Director in the department of Andre Lwoff. In 1954 he became the Director of the ‘Cell Biochemistry Department’. During his days in the military, Monod had come across an issue of the journal Genetics in a mobile library of the American army. In it, he read an article by Salvador Luria and Max Delbrück demonstrating the spontaneous character of bacterial mutations. In 1946 he attended the Cold Spring Harbor symposium at which Alfred Hershey demonstrated genetic recombination among viruses and Joshua Lederberg and Edward Tatum announced the discovery of bacterial sexuality. All the biologists at this symposium realized that bacteria, and even crystallizable viruses, really did have mutable genes capable of sexual recombination and replication, just like the genes of animals and plants. It was also at this symposium that Monod made contact with the small group of researchers gathered around Max Delbrück who later detailed the mechanisms of transference of genetic information by studying the system constituted by Escherichia coli bacterium and its series-T viruses. Monod also made important contributions to the field of enzymology with his proposed theory of allostery in 1965 with Jeffries Wyman (1901-1995) and Jean-Pierre Changeux. During 1958 Monod, Jacob and American biochemist Arthur Beck Pardee were involved in an experiment which became famous as the ‘PaJaMo’. This experiment and later research revealed that the commencement of protein synthesis from a gene can take place almost immediately as it enters an E.coli cell. Earlier theories regarding the interpretation of genetic data into proteins were focused on ribosomes. At the end of 1958, Monod was invited to become a professor of biochemistry at the Faculty of Sciences of the University of Paris (‘Sorbonne’). After long consideration, he decided to accept, provided he would be able to continue working at the Pasteur Institute. The post he took up in 1959 was originally called the chair of the chemistry of metabolism, but in April 1966 the name was changed to the chair of molecular biology. In 1967 Monod was elected to the Collège de France and named chair of molecular biology. His inaugural lecture in November 1967 was a solemn occasion for raising the philosophical implications of modern biology. In 1961 Monod and Jacob worked on the mechanics responsible for genetic data transfer and the controlling pathways that exist in a bacterial cell that control the activities and synthesis of macromolecules. These experiments led to a new theory of the existence of another species of RNA, which is the messenger RNA (mRNA). Monod and Jacob earned a reputation for their research on E.coli Lac operon that encodes protein required for the transfer and breakdown of sugar lactose. They showed a model that elucidated the way levels of some of the cell proteins are controlled. Their model suggests that protein development is restricted when a DNA- binding protein or an RNA-binding protein i.e., a repressor, encoded by a regulatory gene, binds to a segment of DNA i.e., an operator. Their findings convey that the regulator genes are the controlling genes that regulate the activities of the structural genes. They further suggested that the balance between regulator genes and structural genes in a normal cell permits it to adjust in different conditions while an imbalance can result in the development of new enzymes that can be either beneficial or cause harm to the cell. In 1965 Jacob and Monod were awarded the Nobel Prize in physiology or medicine for all this research, together with André Lwoff, who had laid the scientific and institutional groundwork that made it possible. This honor for the three French biologists was not unexpected. Lwoff and Monod had been brought to the Nobel Committee’s attention in the 1950s, and after the triumph of the operon model in the early 1960s, proposals to award the prize to Jacob, Monod, and Wollman had come from various quarters. In 1967 Monod was appointed a Professor at the ‘Collège de France’. He advocated the view that life on earth is the result of an unusual chemical accident, a unique event that took place, which would never be repeated. His views on the evolution of life interpreted as the result of natural processes by “pure chance” was expressed in his book ‘Chance and Necessity: Essay on the Natural Philosophy of Modern Biology’. On 15 April 1971 Monod became the director general of the Pasteur Institute. He assumed the post with a fully developed plan and with clear ideas perhaps even dreams of what an institution of biomedical research should be like. He completely restructured the institute, creating a subsidiary company Institut Pasteur Production for the revitalization of industrial activities. Monod improved the financial situation, which was definitively stabilized when a permanent state subsidy was won. When necessary, he reorganized research, eliminating or recasting many departments and creating others. Authoritarian and inflexible, he made decisions firmly and courageously, though sometimes without sufficient consultation. This gave rise to resentment and opposition, and many friendships were broken. In 1972 Monod suffered a six-month bout of viral hepatitis, and that same year his wife died after a long illness. His administrative tasks made it impossible for him to continue his scientific activity, and he was compelled to resign his chair at the Collège de France and to cede his post as director of the cellular biochemistry department to Georges Cohen. ‘Necessity,’ in the title of his work, refers to the fact that the enzyme must act as it does, catalyzing a reaction with one substrate but not another, according to the constraints imposed by its structure. While the enzyme itself cannot be said in any meaningful way to have a choice about its activity, the thrust of Jacob and Monod’s Nobel prize-winning research was to show how a bacterial cell can choose whether or not to carry out the reaction catalyzed by the enzyme. As he explains, one way the cell can make such a choice is by either synthesizing the enzyme or not, in response to its chemical environment. However, the synthesis/no synthesis choice is in turn governed by necessary biochemical interactions between a repressor protein, the gene for the enzyme, and the substrate of the enzyme, which interact such that the outcome (enzyme synthesis or not) differs according to the variable composition of the cell’s chemical environment. The hierarchical, modular organization of this system clearly implies that additional regulatory elements can exist that govern, are governed by, or otherwise interact with any given set of regulatory components. Because in general, the bacterial activity that results from these regulatory circuits is in accord with what is beneficial for the bacterial cell’s survival at that time, the bacterium as a whole can be described as making rational choices, even though the bacterial components involved in deciding whether to make an enzyme (repressor, gene, and substrate) have no more choice about their activities than does the enzyme itself. His views were in direct opposition to the religious certainties of his ancestor Henri’s brothers, Frédéric Monod and Adolphe Monod, who were prominent evangelical preachers in the 19th century. In 1973, Jacques Monod was one of the signers of the Humanist Manifesto II. In October 1975 an incurable disease, aplastic anemia, was diagnosed. Though well aware of the prognosis, Monod continued to serve as director of the Pasteur Institute. Jacques Monod was awarded the ‘Nobel Prize in Physiology or Medicine’ in 1965 together with François Jacob and Andre Lwoff. In addition to the Nobel Prize, Jacques Monod received numerous scientific honors, including the Prix Montyon de Physiologie (Académie des Sciences, 1955), the Louis Rapkine Medal (1958), the Prix Charles Léopold Mayer (Académie des Sciences, 1962). He was also named Chevalier of the Ordre des Palmes Académiques (1961) and an officer of the Legion of Honor (1963). Jacques Monod was an honorary foreign member of the Deutsche Akademie der Naturforscher Leopoldina (1965) and foreign member of the Czechoslovakian Academy of Sciences (1965), the Royal Society (1968), the National Academy of Sciences of the United States (1968), the American Philosophical Society (1969), the American Society for Microbiology (1970), the Institute of Medicine and Medical Research of New Delhi (1970) and the Accademia dei XL (1975). Jacques Monod was awarded honorary doctorates by the University of Chicago (1965), Rockefeller University (1970), Oxford University (1973), and the Free University of Brussels (1975). Jacques Monod died of leukemia on May 31, 1976, and was buried in the Cimetière du Grand Jas in Cannes on the French Riviera. His last words were “Je cherche a comprendre” i.e., “I am trying to understand”. Jacques Monod had always been an ardent defender of human rights, never shirking commitment when it was necessary. In the early 1950’s he publicly protested the repression of intellectuals in America and any restriction of the free circulation of people and ideas. In 1960, after a difficult campaign that included a trip to Budapest, he succeeded in getting Agnés Ullmann and her husband out of Hungary. He came out against the French Secret Army Organization, met in 1966 with the Reverend Martin Luther King, Jr., in Paris, and condemned the treatment of Jews in the Soviet Union, as well as assaults on freedom in various other countries. Monod supported the activities of the French family planning movement, fighting for the legalization of abortion, and signed in 1974 a plea in favor of beneficent euthanasia. The value and dignity of the individual was his fundamental ethical guideline.